On Saturday it will be 2 years since my mother died. She was 85. She had survived cancer earlier in life but had a stroke 4 years before she died. Physically she was quite good after the stroke but her mental capacity diminished fairly rapidly. Eventually she was placed in high care in a nursing home in the country where my parents had settled after retirement. The woman who died was far removed from the mother I knew. The dementia had robbed her of everything that she had been her whole life. There wasn’t a more tolerant or accommodating person for much of her life, the last years her personality was so different. She had no filters. She said inappropriate things to the nurses and staff. She threw things, she physically tried to attack. Although the frailty would have prevented much damage being done, the intent was apparent. The person I knew put herself last. 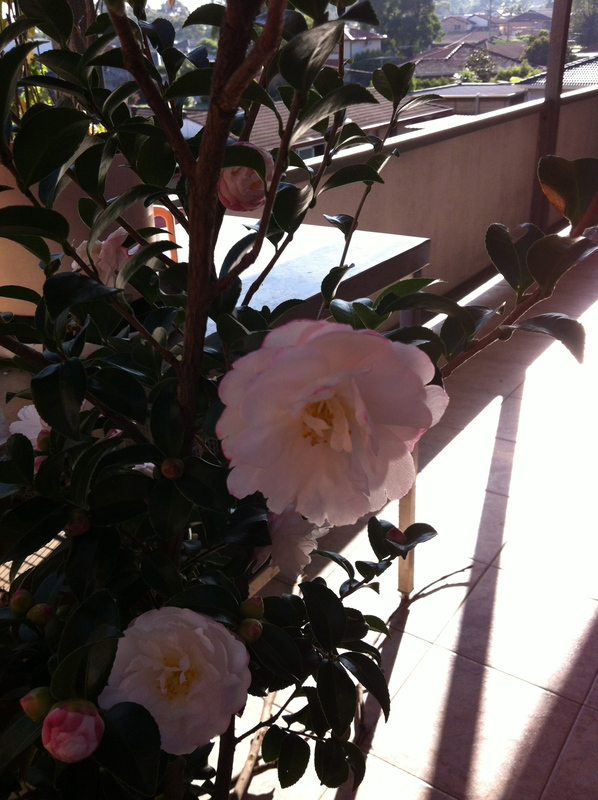 My daughter, after her grandmother died, sourced and bought for me a camellia. It is called Lady Pamela (mum’s name) and it has flowered on her anniversary for the last 2 years. It is a lovely reminder for me of a really wonderful woman and mother. This entry was posted in family, life and tagged dementia, mum. Bookmark the permalink.